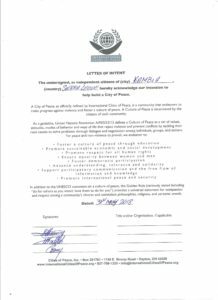 We welcome Sylvannus Bangura and his colleagues of War Against Poverty who have established Kambia, Sierra Leone as an International City of Peace. 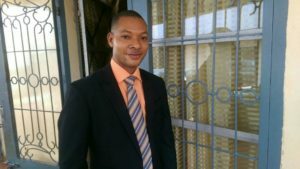 Sylvannus and his group empower citizens of Kambia through programs in the areas of agriculture, skills training, peace building, Income generation, access to education, used clothes distribution. 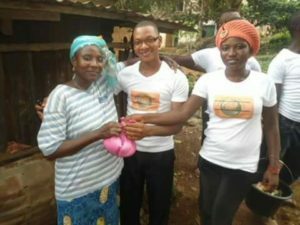 PROJECT COMPONENT: Primarily focused on Agriculture, Income Generating Activities, Access to Education, skills training and used clothes distribution targeting women and youths. 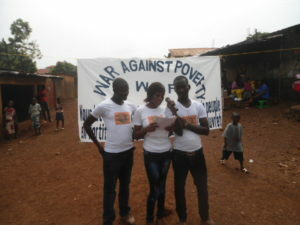 There for War Against Poverty (WAP) serves as an organization that’s on the ground catering to inspire and empower youths women and groups of society through a planned interventions on the problems highlighted above in the areas of agriculture, skills training, peace building Income generation, access to education, used clothes distribution etc for a sustainable development. Our vision is to inspire youths women and groups of society to put away conflicts and work harder to create a better future in an atmosphere of peace and togetherness. 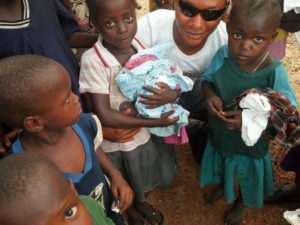 In Sierra Leone / Kambia like many other developing countries, poverty has gotten root of most families especially women who are primarily charged with the responsibility of fending and taking care of the home and care for children. Economic potentials are available but the limited know how, has given the impetus to the rise of drug addiction and youths’ high participation in crimes and violence, armed conflicts, prostitution and the likes. 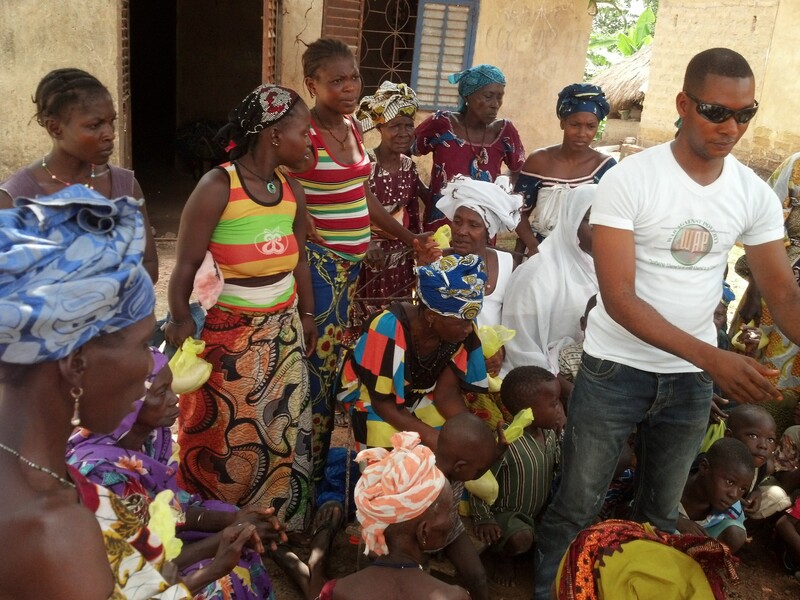 In our areas of operations or rather target areas, 75% of women and youths are adversely affected. 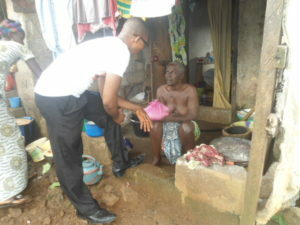 • Provided 80 households with used clothing. • Provided 40 farm families with seed inputs. 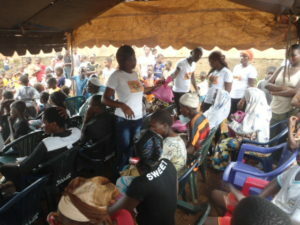 • Linked 20 female youths to skills training (Hair Dressing, Tailoring, and Soap making,). 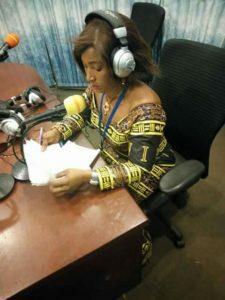 • We got youths on national radio talking to colleagues in other parts of the country, the dangers of conflict and its effects on them and the youths’ role in ensuring peace reigns. 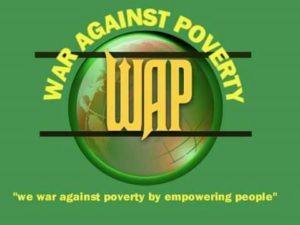 To succeed in this mission, the WAP foundation remain open to welcome and encourage Organizations, Foundations, Companies Associations etc. to work in partnership with us. “My name is Sylvanus Bangura I’m a Sierra Leonean by nationality from Kambia District northern part of Sierra Leone were I’m presently managing my foundation WAP (War Against Poverty). I was in Guinea Conakry and have worked there with many organizations that promote peace like MasterPecce Guinea (M P G) Destiny Center for Destitute (D C D) and Let the Women Speak (L W S). Having gained a lot of experience on peace building, I was moved with great passion to come back home (Kambia) and start an innovative peace building movement that will help to inspire and sensitize youths and women on the dangers of conflicts and its effects on them. . The name Kambia derived form a great man called Pa Kambi. Pa Kambi was known to be a hunter and a farmer when he came he settled on the banks of the river where Kambia lies today. 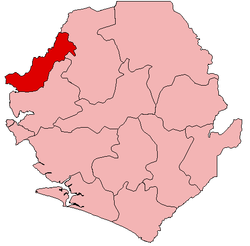 Kambia means Kambi’s town in one of our local languages and Kambia is one of the five Districts that makes the northern province of Sierra Leone. Kambia District is very rich in Agriculture and therefore it is one of the major producers of swamp rice in Sierra Leone it has a population of about 345,460, an area or size of about 3,024km and it is divided in to seven Chiefdoms. 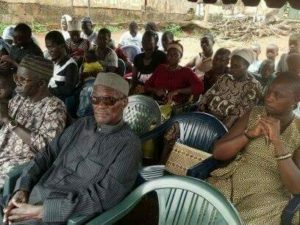 Kambia Town which is the capital and largest town in Kambia Districts, host three main ethnic groups who normally fight among themselves for lands, and cultural indifference but with all these, they still work hard to promote peace and togetherness. To conclude,the health service in Kambia is not that poor the government is working hard to see that the health of the people are highly secured because it is the main entrance from the Republic of Guinea.